I read this article and found it very interesting, thought it might be something for you. The article is called Restaurant Review: Madina and is located at https://www.totallydublin.ie/food-drink/restaurants/restaurant-review-madina/. 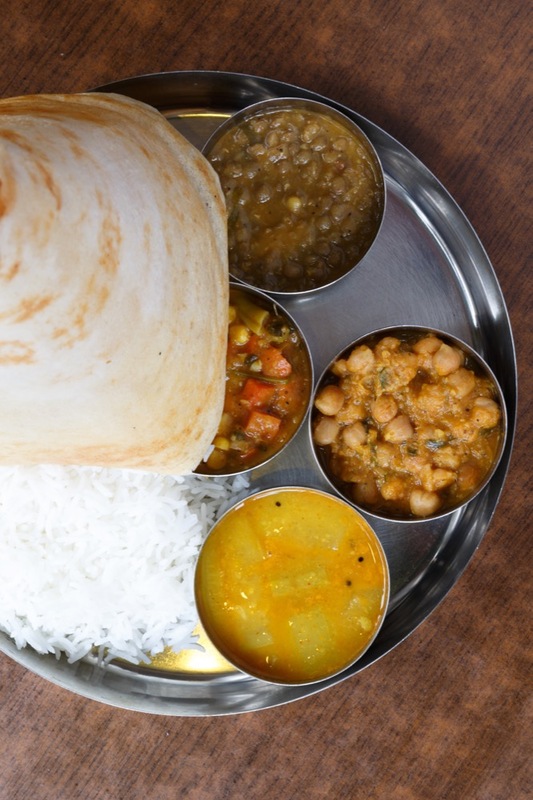 Madina, a no-frills, family-friendly curry house on Mary Street, have been bringing dosas to Dublin since before they opened in 2006. But, in a way, the story of how dosas came to be on Mary Street begins in the late 1950s, when owner Mia Manan’s grandparents immigrated from Punjab in Pakistan to Belfast. Manan’s parents settled in Limerick in the 1970s, which is where he grew up. In 2002, the family opened a food market and deli shop on Moore Street (also called Madina Desi Curry Co), to cater to the growing multi-national community living in the city. They became well known for their samosas which were made by Manan’s mother, Ishrat, and his wife, Sumera. One of their largest customer bases were South Indian nurses, many of whom would ask the Manan’s help in recreating dosas, a gloriously light, crepe-style bread. The family started selling their own handmade dosas in the deli on Moore Street and, in 2006, the family opened their restaurant in the three-storey building they’re in today. So what is a dosa? The batter’s key ingredient is ground idli rice; it’s mixed with water and allowed to ferment for two days. You simply can’t fake the hint of ferment and the crisp flakiness of a fresh dosa; ones that have been sitting too long will go soggy and lose their spark. In 2005, Manan brought an enormous limestone rice grinder home from India for the sole purpose of making the dosas; it’s so heavy it had to be lifted in to the top floor of the restaurant by crane when the landlord was fixing the roof. The dosa to try is the Masala Dosa (€7.95). A spicy potato mix is wrapped up like a present, only the wrapping paper is edible – that’s the dosa. You can use a knife and fork but the traditional way to eat is with your hands. My waiter tells me that it helps to give people a real and immediate connection to their food. Use the edges of the dosa, which aren’t wrapping up the potato, as scoops and alternative cutlery. Break off bits of the dosa-wrapped potato and dip them in the accompanying thin curry sauce and coconut chutney. The potato will mix with the curry sauce and thicken it up, creating something new on the table before you. The key here is to mix the flavours of the gorgeous ferment with the spicy, soft potatoes, a green-chilli soaked curry and a soothing coconut chutney. Madina isn’t all about the dosa; in fact, their ample menu takes in the southern Indian subcontinent and casts a culinary net right up to Northern Pakistan. The downstairs kitchen is dedicated to their BBQ and tandoori dishes, the second floor is a dedicated vegetarian kitchen, while the third floor of the building is entirely given over to their main kitchen – which is where that giant grinder lives. Their meat is all 100% Irish halal. It’s not free-range or organic but it comes from one supplier, the same supplier they’ve used for the last twenty years. Many of the recipes have been developed by Ishrat and Sumera. To this day, it’s Ishrat who trains all their new chefs in the Madina style. A great deal of the dishes themselves are inspired by Manan’s childhood in Limerick; Ishrat used to have potluck parties where her friends and family members would bring one dish to their family home. Saag aloo was a constant in their house, thanks to his Ishrat’s patch of potatoes and spinach in their back garden. “Irish potatoes are the best in the world,” says Manan, and he tells me that Ishrat thinks so, too. On the menu, there are familiar favourites like chana daals, chicken biryanis, paneer masalla and lamb bhuna on the menu, but what makes Madina special is its less familiar specialities. A page of their menu is dedicated to Pakistani and Indian street food, including gol goppa (€4.95) which are bite-sized crisp round puffs of puri bread stuffed with sweet and spicy fillings, known in India as panipuri. 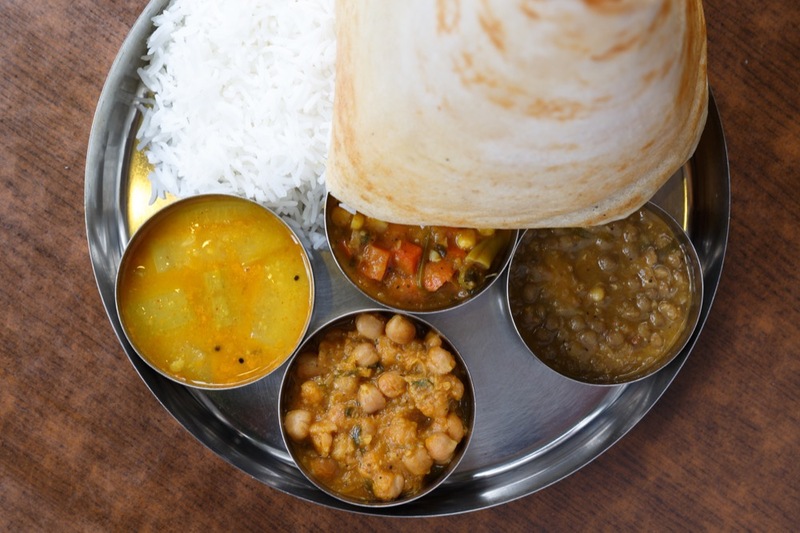 The vegetarian thali (€9.95) is a superb introduction to Madina’s flavours; it’s a smorgasbord of petite portions of curries, daals, chutneys and sambar, served with dosa and boiled rice. “It’s like paradise for a grown-up child,” says Manan.